Sinterklaas! Purchase Your Stars Online! - Sinterklaas! Featuring this year's honored animal The Butterfly! 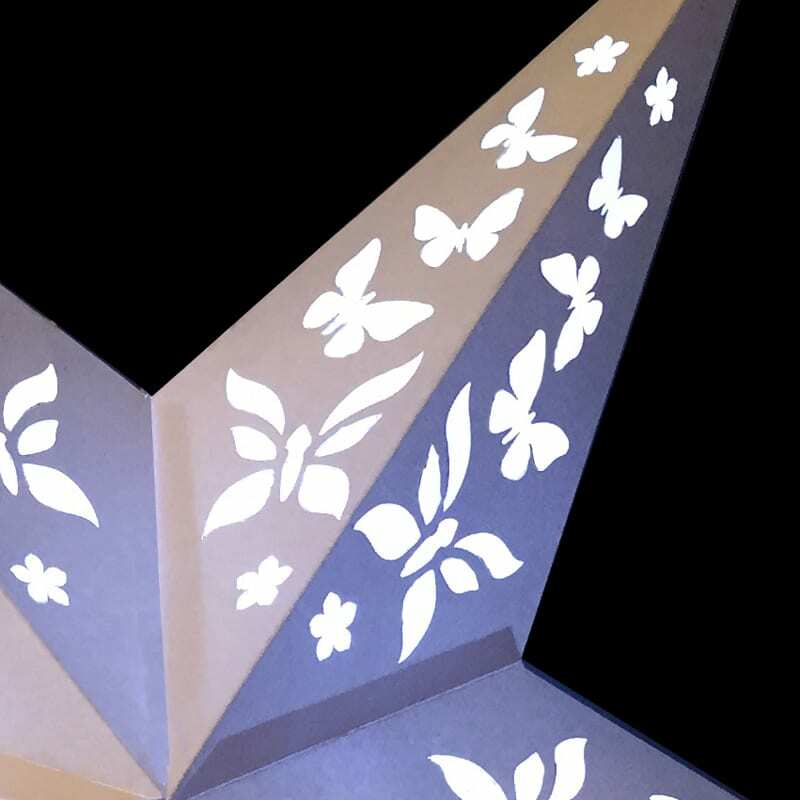 Each package includes a star, an illumination unit and instructions for assembling. Purchase in a store: Stars are available for purchase at Winter Sun & Summer Moon, Hummingbird Jewelers, Rhinebeck Department Store, Pegasus, Willow Wood, Zimmer Brothers Jewelers, Land of Oz, Sunflower, Periwinkles, Waddle and Swaddle, Rhinebeck Artists Shop, Paper Trail, and Williams Lumber. Why do you need a star? 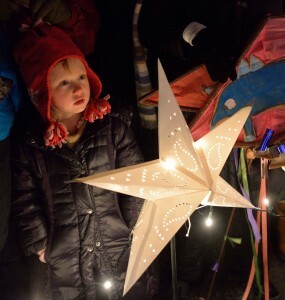 Families carry their stars in the annual Children's Starlight Parade. From the moment you take possession of this star, you assume a key role in the Sinterklaas community tradition — honoring the CHILDREN. 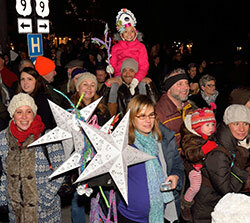 join hundreds of your neighbors, friends, and family — carry your star in the Children's Maritime Parade in Kingston on the last Saturday in November and on the first Saturday in December on the Sinterklaas Festival in the Children's Starlight Parade that culminates in an illuminated pageant in the very heart of Rhinebeck. Perhaps close to your chest and cradled with care, or held aloft dangling freely in the winter breeze. A gathering constellation will light the path for the many children who, bedecked in crowns and branches of their own creation, are the honored Kings and Queens of the Day. 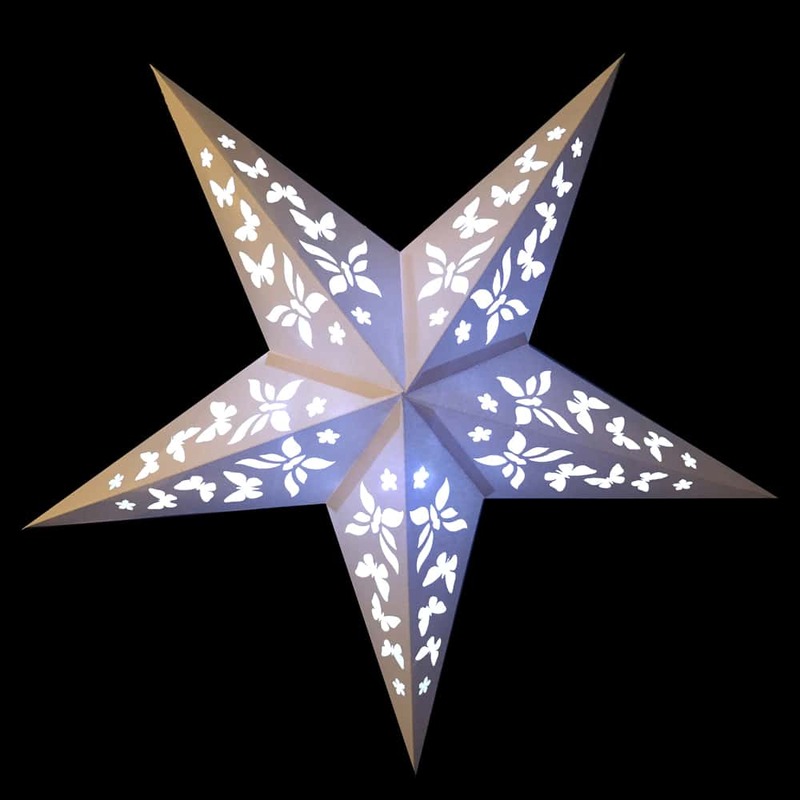 Honor the children with a Sinterklaas Illuminated Star! At the end of the Pageant that is the culmination of the entire Festival, everyone will gather for the final ritual, the moment you and your star have been waiting for. The Master of Ceremonies will call upon all those present to honor our children, our hope for the future, our joy of today. He will ask you to bow down on one knee to the children. At that moment, you will bow down and hold your STAR at the children's waist level — elevating them, for a brief moment, on a sea of stars above everyone in the community. Then, you will be asked to stand again and raise your star above your heads — thus placing you, the children and the entire community in its proper place in the firmament — all of us as one and at peace under the stars. After the evening’s festivities are over, you take your star home with you to grace your hearth throughout the dark winter with the vivid memory–like a burning ember — of when we all came together to celebrate our children, our community, our lives and each other.